Hiring a guide company like MossBack will give you a competitive edge, but is it an unfair advantage? 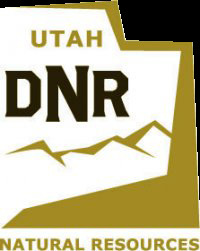 Doyle Moss has mixed feelings about the derogatory stickers targeting his company that grace the rear ends of pickup trucks across rural stretches of Utah. “Piss on MossBack,” they read, before disappearing in a cloud of diesel truck exhaust. MossBack–or more accurately, MossBack Guides & Outfitters–is perhaps the most successful hunting guide company in the state. It is a distinction that has earned the company much acclaim and many critics. For a fee, MossBack’s team of woodsmen and hunters will do much of the leg work that goes into executing a successful big-game hunt. Starting in early summer, MossBack guides hit the hills, scouring the ground for traces of massive bull elk. 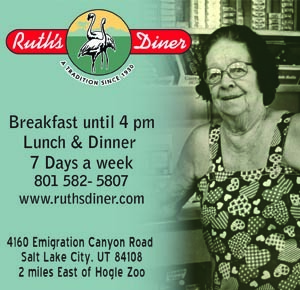 They monitor the watering holes with cameras, study the animals’ antler sheds (each winter, bull elk shed their massive racks), and spend countless hours scouting herds. 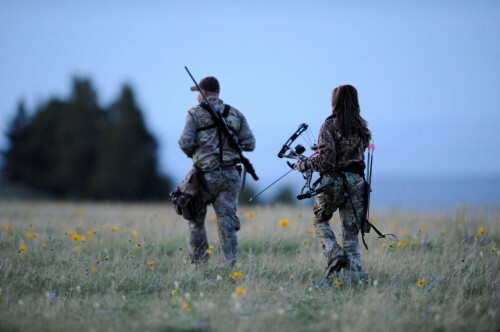 The client–who can pay up to $10,000 for guide services for a nine-day hunt– arrives in the backcountry armed not only with a weapon, but with a guide who is intimately familiar with the territory and the animals that call it home. For many recreational hunters, the guiding business is only that–a business. But with the bumper stickers as evidence, there are plenty of other hunters who, for one reason or another, despise Mossback and the guide industry to the point of hatred. According to Moss, someone once scrawled “Get out of town,” in magic marker across his pickup. Another crafty hunter placed a No Trespassing sign next to Moss’s truck and proceeded to take pictures, making it appear as though Moss was trespassing. 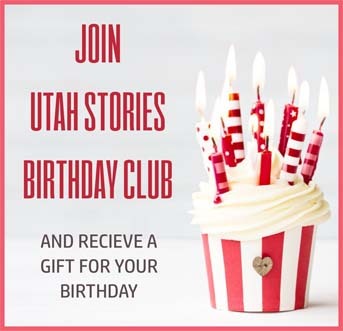 The anti-MossBack rhetoric reached a fever pitch in September of 2008, after Moss led an Idaho hunter into the woods near Monroe, Utah, where the colossal “Spyder” bull had been spotted. Moss’s client had spent more than $100,000 for the state’s coveted Governor’s Tag, which allows one to hunt nearly anywhere in the state for a four-month stretch. 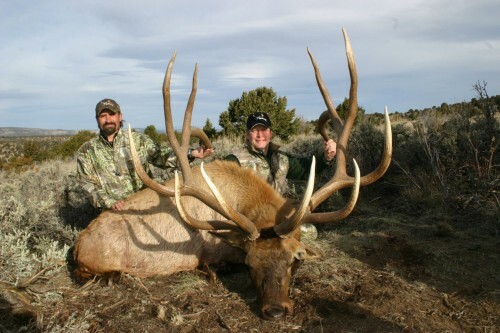 The client not only ended up killing the “Spyder” bull but also nabbed a world record for the largest bull elk ever killed. This has since ignited a firestorm of controversy within the hunting community. Angry hunters took to internet message boards, some accusing MossBack guides of blocking roads around where the giant bull was killed, vandalizing trucks, and essentially blocking private hunters from taking a shot at the prized animal. Moss dubs the accusations “myths.” And he notes that the bull was killed on public land, where hunters had ample opportunity to hunt the animal all through the archery season and for most of the rifle and muzzle loader seasons. It’s difficult, even for avid hunters who follow the sport closely, to filter out which accusations about MossBack are true and false. 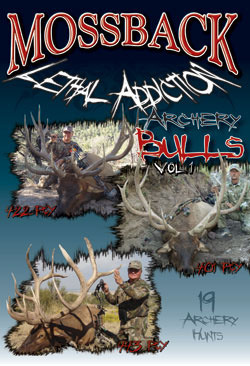 Travis Jacobson is a 28-year-old archery hunter who operates the website addictedtohunting.com with his brother. They were the first to report on the “Spyder” bull controversy, and he says that as far as he can tell, no police reports have been filed, and that most of the accusations about MossBack are likely untrue. However, given the extremely competitive nature of bull elk hunting, Travis says he wouldn’t be surprised if some nastiness went down in the Monroe hunting unit around the time the “Spyder” bull was shot. Travis Jacobson said he began hunting while he was still in diapers, and he continues to hunt every chance he gets. For his part, he says he doesn’t have a problem with guides or the guiding business. In addition to offering guided hunts, which it started doing in 2000, MossBack’s roots lie in the video production business. They have released twenty-seven DVDs, with titles like “Bustin Big Blackies” and “Bulls Gone Wild.” MossBack also has a TV show, “Lethal Addiction,” which airs on the Pursuit Channel. He chalks up much of the animosity surrounding MossBack to simple jealousy by private hunters who lack the means to pay guides and invest in pricey conservation permits, which are auctioned off by the state and guarantee a hunting tag at a cost of tens, if not hundreds of thousands of dollars each year. Travis’ older bother, Jason Jacobson, owns the Addicted Archery Shop in Sandy with his family. He has a different take on guides. 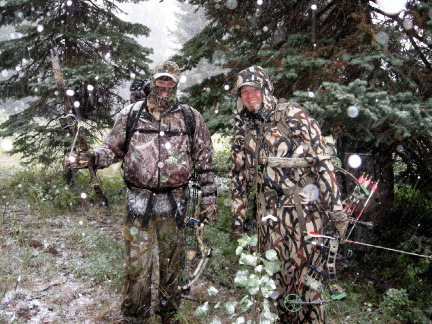 Like his brother, Jason says he’s seen little hard evidence that MossBack, which is based in Utah County, or any other guide service, has wronged public hunters. But he feels the guiding industry–saturated with prime permits, cash and bodies–at the very least cheapens the labor-intensive sport that he loves. 300 conservation permits are issued each year to various environmental and wildlife organizations. These groups sell the permits to hunters or guides, and funnel 60 percent of the proceeds into conservation projects. These permits can sell for tens of thousands of dollars. Moss says his company alone secures $1 million in conservation permits each year. But straight-forward statements like those by Jason Jacobson seem to enrage Moss even more than the more incendiary ones that pop up online, like those saying Moss is regularly thrown in jail for trespassing. “I’ve never been thrown in jail,” he says with a chuckle. Moss says hiring a guide is no different than a public hunter employing the services of friends. Hunt–guides are just paid. 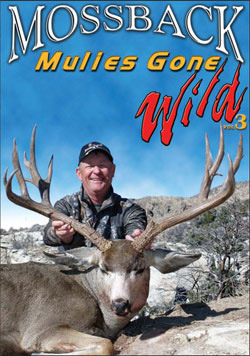 Although the mythic “Spyder” bull is dead, the controversy surrounding it, and the way other large bulls will be hunted and killed in the future, will likely ignite even more debate, especially if Moss continues to successfully lead his customers to massive creatures and productive hunts. The discussion is likely to get more heated before it goes away. Moss says his is a rapidly growing industry in the Beehive state. In the meantime, it appears Moss will continue to have mixed feelings on the controversy surrounding his company as he maneuvers between furious denials of what he calls false accusations and embracing the free publicity.